Was Mary Magdalene a prostitute, a female divinity figure, a church leader, or all of those? Biblical references to her are tantalizingly brief, but we do know that she was the first person to whom the risen Christ appeared - and the one commissioned to tell others the good news, earning her the ancient honorific "Apostle to the Apostles". Today, Mary continues to spark controversy, curiosity, and veneration. In a vivid re-creation of Mary Magdalene's life story, Margaret George convincingly captures this renowned woman's voice. Robin Maxwell’s debut novel introduces Anne Boleyn and her daughter, Elizabeth: one was queen for a thousand days, the other for more than 40 years. Both were passionate, headstrong women, loved and hated by Henry VIII. At the beginning of Elizabeth’s reign, her mother’s private diary is given to her by a mysterious lady. In reading it, the young ruler - herself embroiled in a dangerous love affair - discovers a great deal about her much maligned mother. I would like to take back my earlier review. Once I became used to the voice inflection that the narrator chose to use for King Henry the book became very enjoyable. I found that it suited King Henry's personality very well after awhile. King Henry was protrayed as a conceited, self-centered, egocentric narcissist in the book. Also, I think that it must be very difficult to narrate several voices in a book and the narrator did an excellent job. If you like historical fiction . . .
. . . you will LOVE this book. 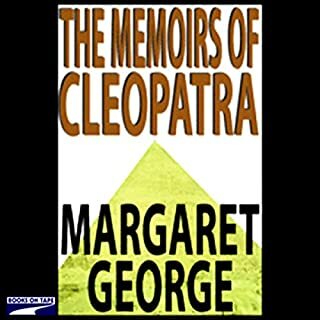 The reader is lead to believe that it is more fact than fiction because of the amount of research Margaret George did in preparing this book for publication. She read and studied many books and period accounts (check out the bibliography), as well as having visited England more than once for the express purpose of researching the life and personality of Henry VIII. 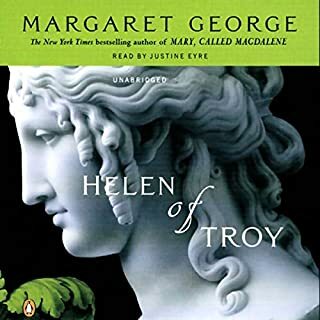 No one had ever thought to try to get into the mind of Henry to see what was really going on there until Ms. George did her homework for this book. I believe it is very revealing. She does not try to make him into something that he is not. We still see him as the king we love to hate - an overweight king who suffered from dementia, felt things very deeply, acted on impulse, loved women, and had people around him put to death if they didn't agree with him. But what it does show is how he came to feel and do the things that he did. One can come close to understanding him, and perhaps even empathizing with him through this book. It is very well and beautifully written. I loved the associated history that I learned along the way. My one and only criticism is that towards the end I got a little bogged down in the war and the politics. I had become so accustomed to the forward movement in this lengthy book that I was a bit disappointed when it slowed down. Just a minor criticism, however. It is overall a fabulous book. I feel so bad for people who cannot get past the so-called aristocratic, stuck-up British accent that narrator David Case uses. It has been said that his narrations are an acquired taste. I was a bit put off at first myself. But I tell you, he is incredible! I believe that Henry VIII must have sounded just like David Case (also known as Frederick Davidson)! His characterizations are fabulous, and he runs the gamut of emotions which I feel right along with him. He brought me to tears when Brandon died, and made me feel sad at Henry's death. I was as mad at Ann Boleyn as Henry was, and I adored Jane Seymour right along with him. I was disappointed for Henry when Elizabeth was born female (definitely not like me in real life), and so sad for him when baby boy after baby boy did not survive. This book lives because of David Case's narration. If you have not acquired the taste, it will be worth it for you to persevere until you do. He is a master and has done a masterful job of narrating some of the best literature ever written! What a wonderful book! At the beginning, Henry has died, and Will has found the diary he supposedly kept since his youth. He sends it to the daughter of Anne Boleyn's sister Mary, who he believes is in truth Henry's daughter. Will, whose father died when he was very young, does this because he believes that a child should know his or her father. 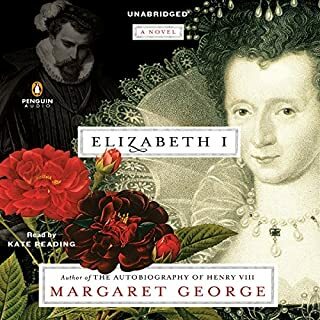 George has really done her research, but instead of ploddign through history, she gives Henry a realistic voice that is at time maddening, at other times sympathetic; in other words, she turns this huge historical figure into a man, like others, with both strengths and weaknesses. The interjections by Will, who, despite his cynical tone, obviously loved Henry, give us further insights into his character. Along the way, she gives us a delightful picture of life, love, and politics at the Tudor court. David Case is the perfect reader for this material. The book, as hefty as the king it brings to life, is arguably Margaret George's finest book. 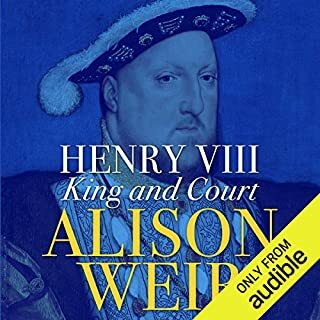 Bringing to life Henry's reign, from the splendid promise of its beginnings to its sordid and dangerous conclusion, the lush detail makes the reader/listener feel as if we are actually there, so vivid are the descriptions. The narrator's voice conjures up a haughty richness eerily reminiscent of Peter O'Toole's Henry II from 'The Lion in Winter'; it made for an immensely enjoyable listen; Henry's larger-than-life ego simply explodes through this voice! (If you like your audiobooks read in dry monotone, skip this one!) 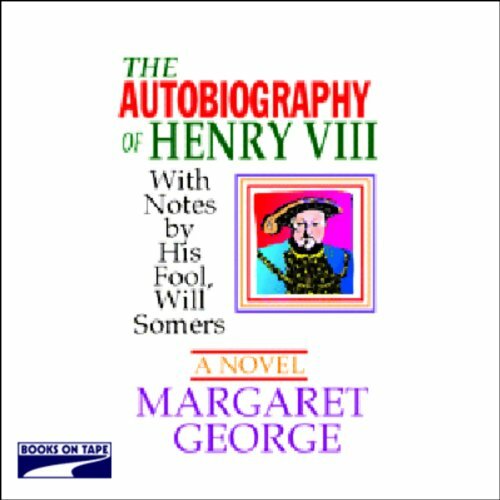 The narration of Henry VIII is augmented by side notes written as if in the diary's margins by his court fool, and his dry, rapier-sharp wit is the perfect foil for the king's own viewpoint. 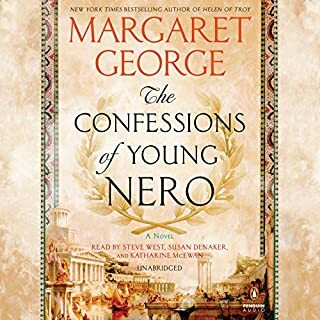 This is one of my very favorite audiobooks and I heartily recommend it to any historical fiction fan who is looking for a substantial and riveting 'read'. If you enjoy Historical Novels, and great narration. I can't think of a more enjoyable book. I was thrilled with the the thought process, and time line. Even though it ia a very long book, it seemed to fly for me. I concur with the other reviewers. I listen on my commute, and couldn't wait to get back to the car for the next installment. David Case was much more than a narrator, he acted the parts with his voice and attitude. He brought out the personality of King Henry and the other characters. Quite remarkable. I'm searching around for more books narrated by David. One Of The Best Books/ Listens Ever! 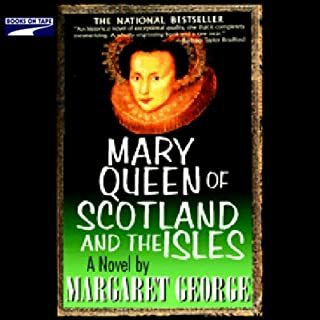 My passion is Tudor history but for some reason I had not read this book until I listened to this audio book. WoW! That's all I can say. I was so sad when this ended. I was not sure what I thought of the narrator, David Case, at first but he has now become a favored voice. He's amazing with this book. Simply perfect. I could gush on and on - but you get the idea - I truly LOVED the book and the narrator and recommend it to anyone who loves Tudor history, history or historical fiction in general! I got this book based on its reviews and it did not disappoint. I feel as though I walked through time. And I've changed my opinion of Henry. He was complicated and apparently quite romantic, if not superstitious, as all people were at the time. It was definately the original Melrose Place. I want more from this author. David Case did an wonderful job of capturing the very complicated personality of H VIII and the other characters of George's comprehensive writing of one of the history's most impactful players. Not only did George build for us Henry's England but what it was like to be a King of England. A perspective very critical to understanding of who H VIII was and why he made the decisions he did. Having read many history books of the period it was wonderful to view the characters in a new and different format. I do agree with the other reviewers, do get this book if you like historical fiction, long reads, good naration, or just a good book. It is really pleasent to spend two credits and feel you really got a great deal! this has become my top favorite audio book.. Highly recommended. The narration is superb and the writing is enthralling. don't miss this one-totally worth 2 credits.